Are you thinking of studying an ICB course and wondering about the ICB qualifications? Do you want to know more on how the courses are set out? How to register? And how the exams work? Do you know that ICB qualifications are accredited and recognised? We’ve set out to answer all your questions. 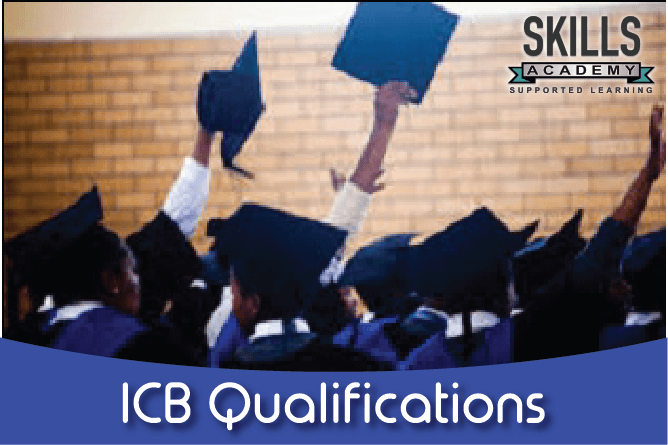 Are The ICB Qualifications Accredited? Yes, they are. The ICB is a Quality Assurance Partner of the Quality Council for Trades and Occupations (QCTO). The Finance and Accounting Services Sector Education and Training Authority (FASSET) is the body that, along with the ICB, issues graduates with NQF set certificates and diplomas. All the qualifications are registered on the National Qualifications Framework (NQF). This is done through the South African Qualifications Authority (SAQA) which is why each course has its own SAQA ID. The ICB qualifications are recognised across South Africa because it has been approved by the QCTO. The ICB also has international affiliations and partnerships with professional membership boards. Due to this your ICB qualification is also recognised internationally. What Are The Different ICB Qualifications? The ICB offers many different courses in five main areas. These are Financial Accounting, Entrepreneurship, Public Sector Accounting, Business Management, and Office Administration. Each of these fields of study has several courses under them. These are certificate and diploma courses. This course gives you the knowledge and practical skills in bookkeeping, financial accounting, income tax financial management, reporting standards, corporate strategy, management accounting, and research. This course is perfect for those of you who want to learn a little bookkeeping and a lot of office knowledge, such as managing and organising. You will be able to assist in most departments in a company. If you want to work in finance in government or municipalities, this is the programme to study. It’s been designed to address the lack of skills in the public sector and give students knowledge that will help government run more productively. You’ll learn how to produce high quality financial statements, implement basic internal controls, conduct effective internal auditing, and apply sound accounting and financial principles. This programme will teach you all you need to know about starting your own business. Entrepreneurship is becoming a growing trend when it comes to business. You will learn skills like Bookkeeping, Marketing, and more. Business Management deals with the running and management of a company. Business Management is important to every business because Business Managers help to make sure that businesses run properly. They are involved in things like hiring and training staff. You will learn all the skills you need to successfully manage a company to ensure its success. The ICB is in charge of all your exams, even if you are studying through a training provider. These exams are held at external venues on a date decided by you. You have to register and pay for the exams before you can write them. If you’re studying through distance learning, you can do this on the ICB Learner Portal. Your Portfolio of Evidence (PoE) is also handed in when writing the exam. You also use the ICB Learner Portal to view your results and not wait for the email. The results are generally released on a Friday, but the email might only reach you by the following Tuesday.The general rule of thumb is that the results are released seven weeks after the exam is written. What is a Portfolio of Evidence? A Portfolio of Evidence is a workbook or folder with a collection of documents to be handed in at the exam. This folder is filled with tasks and exercises, as well as tests. It contains evidence that you did the practical work, and that you have actually mastered the subject. Your PoE forms 30% of your final mark. Can I Get An ICB Qualification Through Distance Learning? In short, yes, you can. ICB courses are designed in a way that makes it easy to study it through distance learning. When studying through a training provider like Skills Academy, we also provide you with extra support. Skills Academy gives you help by teaming you up with a course expert via telephone, email, and WhatsApp. Your course expert will help you with everything, from registering for exams to helping you with assignments. You will also be put in a study group with other students that study what you study and share the same subjects as you. You will have all these resources to ensure that your studies are a success. How Do I Register For An ICB Qualification? To register for an ICB course you need to first register with a training provider, such as Skills Academy. After signing up with us you have to go register on the ICB Learner Portal. To start you registration, fill in the form on this page for a free callback, or call us toll free on 0800 39 00 27.